It was great to see everyone at the Back to School Nights this week. Teachers had signups for conferences at this time, so if you were unable to attend, please contact the main office or your child’s classroom teacher to sign up for conferences. Conferences this year are on Wednesday, November 8th and Thursday, November 9th. New this year, parents are able to make payments/donations for class field trips on www.schoolpay.com . When your student has a field trip, please check out this easy method of payment. Of course you can still pay with cash or check at the school. Pictures are ready for viewing and ordering. Here is the link to the website: https://www.enjoyphotos.com/gallery/Login.aspx?EventGuid=D72CD643-48AA-4C07-89C5-6E4C2F64D626. User name: wh17 and Password: 23956wh17 Picture retake day is October 3 at 1:00 pm. This Monday, September 25th, 6:30-8pm, get STEAMED with PTSA! STEAM: How can we help support our school in building and maintaining the initiative and resources to challenge, inspire, and equip kids to become the next generation of technological and scientific innovators? Over the year, we will explore which things are going great and which things need support. Principal Mark Sandilands will kick off this conversation with a general overview of our program and the latest news on how district policies will affect us this year. Bring your questions! STEAMED: This year, PTSA is committed to fostering a strong focus on Equity and Diversity. We want our eighth graders to graduate as conscious, sensitive, culturally literate members of society. How can our community be thoughtful about serving kids of all backgrounds and be a partner for equity in education for all PPS students? 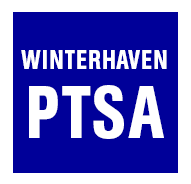 From Marisha Childs, PTSA cultural enrichment chair, you’ll get an update on equity and diversity at Winterhaven. Hear about some of the problems with hate speech that have plagued our school, and what the newly formed Parents for Equity plans to improve our school culture. Also in this meeting: In the recent community survey, we heard that STEM and ART are top priorities. As PTSA president Nicole King high-levels the PTSA Budget for approval, you will learn about new budget challenges to maintain these efforts. We’d love to have your input. We’ll see you there! Thursday, October 12th from 6:00-8:00pm. Please join the Winterhaven community for a fun for the whole family event - all grades welcome! This school-wide, family friendly evening includes live music, square dancing, crafts, ping pong, karaoke for middle schoolers and pizza (available for purchase). This is a great opportunity to visit with old friends and make new friends. We especially hope new Winterhaven families will come join in the fun. Please contact Heather McGowan (mcgowanspdx@gmail.com) if you have any questions. Keep an eye out for volunteer opportunities coming soon for this fun event! The PTSA is pleased to announce that scholarships for after school classes are available for students who qualify for free or reduced lunch. The goal is to make after school classes accessible to all members of the Winterhaven community. Through a combination of PTSA funds and discounts from class providers, the scholarships will cover 75% of the cost of the class, with the student's family covering the remaining 25%. Each student who qualifies for the scholarship program may use it for up to two after school classes per academic year. For more information, please contact Sam Kubernick (dad of Eytan (3rd) & Ayelet (2nd) at Samuelak@gmail.com. For information about after school opportunities, please remember to register at https://www.peachjar.com/. This is where most of the flyers for activities are located.